A subsidy is a benefit given by the government in the form of a tax credit to assist those making less than 400 percent of the federal poverty level purchase health insurance. In 2014 the U.S. government required most Americans to have some level of health insurance under the Affordable Care Act (ACA). Since insurance is now required by law, the government has created subsidies to help lessen the cost of individual and family ACA qualified health insurance plans. There are several assistance options available based on the federal poverty level, your household size and income. What Types of Subsidies Are Available? Premium Assistance Subsidies (you may also hear them called Premium Tax Credit Subsidies) can help with reducing your premium - the monthly cost of your health insurance plan. These subsidies are based on an estimate of what your yearly household income will be for the upcoming year. Those with incomes below 400 percent of the Federal Poverty Level (FPL) based on their household size and income will qualify for this subsidy. Based on 2017 figures, in most states, if you earn less than $48,240 as an individual or $98,400 as a family of four, you qualify for assistance in paying your premium. You can choose to receive this credit in advance to directly lower your monthly premium, or you can choose to pay your monthly premium in full and receive your subsidy all at one time once you file your federal tax return in the form of a refundable tax credit, less any taxes you owe. Subsidies are dependant upon the size of your household, the cost of health insurance in your area, and where your income falls in comparison to the Federal Poverty Level. In the chart below find the size of your family in the left column, and look across that row to find your family income. If you or your family’s income is between 133 - 400 percent FPL, then you will qualify for a subsidy. Subsidies are available to those earning less than 400 percent of the Federal Poverty Level (FPL) and above 133 percent of the FPL. 400 percent of FPL is approximately $48,240 for a single person, and $98,400 for a family of four. Households earning less than 250 percent of FPL ($30,150/$61,500) will also be eligible for help with out-of-pocket costs. Federally facilitated marketplaces will use the 2018 guidelines to determine eligibility for Medicaid and CHIP. HSA for America can help you determine if you qualify for an immediate tax credit toward the cost of your premium or a cost-sharing subsidy to help pay for out-of-pocket costs. Purchasing your plan through HSA for America will cost you no more than going directly through the insurance company or a state-sponsored “exchange,” but will make the process so much easier, and we will provide the expertise and peace of mind you won’t find anywhere else. Your tax credit is calculated by determining the maximum amount you would have to pay for a Silver-level plan, as shown in the furthest-right column below. So for instance, someone earning 350 to 400 percent of the federal poverty level would pay no more than 9.5 percent of their income. That amount is compared to the cost of the second-most expensive Silver plan in your area, and the difference is the amount of the subsidy for which you qualify. You can then apply that amount towards the purchase of any plan, including less-expensive Bronze plans or more-expensive Gold or Platinum plans. For 2018, the federal poverty level for an individual is $12,060; for a family of four it is $24,600. The table below outlines out-of-pocket scenarios for both individual tax filers and families. After paying the designated maximum rate for your income level, your remaining premium balance will be subsidized. The chart above outlines how a family of four earning $49,200 would pay no more than 6.34 percent of their income ($3,119.28/year or $259.94/month) for a Silver-level health insurance plan. An individual earning $45,000 would pay no more than 9.56 percent of his or her income ($358.50/month). A family earning $94,000 would be similarly assisted by paying no more than 9.56 percent of their income ($748.67/month). Can I Only Receive a Subsidy With Certain Health Plans? If you qualify for a subsidy, remember that even though it is calculated based on the costs of Silver plans, it can be applied to a lower-cost Bronze plan—resulting in much lower premiums than shown above. Even though the subsidy is based on the cost of a Silver plan, you can still apply that same subsidy to a Bronze, Gold or Platinum plan. You will need to carefully estimate your 2018 earnings. If you earn more than estimated, you might have to repay all or part of the excess premium subsidy or cost-sharing benefit you should not have received. Contact us at 1-800-913-0172; we can calculate what your premium subsidy will be in seconds, not weeks like the health exchange. Cost-sharing tax subsidies are what can substantially reduce your out-of-pocket costs when receiving medical services, procedures, or medications. Cost-sharing tax credits are for ACA Silver plans only (see below); they can be a good value for those with frequent medical needs because they help you pay for doctor visits, high deductibles, copayments, coinsurance and total out-of-pocket spending limits for people with incomes up to 250 percent of the Federal Poverty Level (FPL). Based on the 2018 FPL, if you earn between $12,060 to $30,150 as an individual or between $24,300 to $61,500 for a family of four, you will qualify for cost-sharing subsidies. Out-of-pocket costs are capped at reduced levels compared with most plans ($5,850 for an individual and $11,700 for a family depending on income). Those qualifying for additional cost-sharing credits can expect to see their out-of-pocket spending capped at $2,450 for an individual ($4,900 per family) with incomes less than 200 percent of the FPL. For incomes between 200 and 250 percent of the FPL, the caps would be $5,850 per individual and $11,700 per family. These reductions occur in the amounts they pay for deductibles, copayments and coinsurance, and in their out-of-pocket spending limits. Although the details will vary, Anthem Blue Cross of California’s plans provide an example of how these cost-sharing plans work. All examples presume that the insured is using a network provider. Deductibles, costs and limits are generally significantly higher when out-of-network providers are used. The Affordable Care Act mandates that employers with 50 or more workers must provide adequate and affordable coverage (i.e., the employee paying no more than 9.5 percent of his or her income is considered “affordable”). If they fail to do so, employees may qualify for subsidies for individual health insurance when their income is below 400 percent of the federal poverty level. Can I Receive A Subsidy If My Insurance Is Through My Employer? If your employer offers coverage that costs you more than 9.5 percent of your income, you would qualify for an individual plan that is subsidized. This doesn’t apply if you are getting coverage through a group plan or if your spouse’s income increases your total household income beyond 400 percent of the federal poverty level. If your premium as an individually insured employee is less than 9.5 percent of your 2016 income, your family might not be eligible for tax credits on the exchange. Children, however, may be eligible for Medicaid or the Children’s Health Insurance Program (CHIP), depending on family size and level of income. Despite the argument that the 9.5 percent rule should apply to the more-expensive family coverage, the IRS doesn’t recognize family premiums as an affordability factor in this scenario. How Does My Marriage Status Affect My Subsidy? People who file their taxes as married, but who file separately, do not qualify for subsidies under the new law. For some couples, filing separately can lead to a lower tax bill. However, married couples must file jointly in order to receive a health insurance subsidy under the new law. This can present problems for married couples who sign up for a policy and receive a subsidy, but then separate prior to actually filing their taxes. In this scenario, the couple would most likely need to repay the subsidy. What Happens If I Overestimate My Yearly Income? For many people, accurately estimating annual incomes can be difficult. If you are self-employed, change jobs mid-year, or have inconsistent paychecks, you may find at tax time that you’ve received more of an advance premium tax credit than you should have received based on what you actually ended up earning. This means you will be responsible for paying back the overpayment of your subsidy amount. Find out more on our blog about estimating your yearly income. If I Overestimate My Income How Much Will I Owe? There is a cap based on your income level that limits the amount you will have to repay (or what will be taken out of your tax return). Lower income individuals would have their repayment capped at $300. If your income is at 200 percent of the federal poverty level, the amount you’ll have to repay is capped at $600. If your income falls between 200 and 300 percent of the FPL, the cap is $1,500. For incomes between 300 and 400 percent of the FPL, the repayment limit is $2,500. Even if you earn up to 500 percent of the FPL, your repayment for any subsidy overpayment is capped at $3,500. Even with the repayment of overpayments you received, the value of the premium subsidy could well be thousands more than what you’ll repay. If you are a single tax filer, your repayment for excess subsidy advances will be routinely half as much. Premium tax credits are determined based upon the cost of the “benchmark plan” or second least expensive Silver health plan in an area. If the cost of this plan changes, so do premium tax credits. If you auto-renew your health 2016 health plan, your advanced premium tax credit for 2017 will remain the same as it was in 2016 and will be reconciled when you file your 2017 taxes. What does this mean for you? It means that if the cost of the benchmark plan goes down in 2017, you will receive a higher premium tax credit than you are entitled to and will owe the IRS a refund at tax time. If the cost of the benchmark plan goes up, you will have to pay the difference in premium, which could be anywhere from 50 to 100 percent higher than you are currently paying. 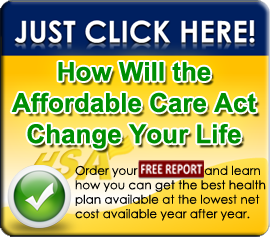 Because of the changes in benchmark plans, it’s likely you can save money by switching health plans. To ensure you remain in the best value plan and receive the proper advanced premium tax credit, it’s crucial that you schedule a time to meet with your HSA for America Personal Benefits Manager to review your anticipated income for 2017, have your premium tax credit re-calculated and review your plan options for 2017. What If I Am Below 133 Percent FPL And Do Not Qualify For A Subsidy? If your income is below $11,880 for an individual or $47,520 for a family of four (14 federal poverty level x 133 percent), you will qualify for Medicaid in many states. In most other states, only those below 100 percent of the federal poverty level will qualify for Medicaid. Anyone with incomes greater than 133 percent of the 2014 FPL will receive subsidies to help pay for an individual or family health insurance policy. Health care reform is driving insurance premiums up, so it is important that you take advantage of every opportunity you have to lower your costs. Contributing to a health savings account (HSA) has many financial benefits. It lowers your adjusted gross income so you may qualify for a subsidy, or a greater subsidy. Just look at the chart above, and if you are close to the tax credit limits, consider contributing to your HSA in order to minimize your net costs. HSA for America is ready to walk you through your best options by calculating your premium and eligible subsidy at the moment you begin your application. Making sense of the Affordable Care Act can seem impossible without a trusted Personal Benefits Manager to guide you through the process of choosing the right insurance plan for you and your family. HSA for America is here to simplify the process, answer your questions, and help make complicated health care decisions easier to understand—at absolutely no additional cost to you. Start maximizing your health care savings now by speaking with an HSA for America Personal Benefits Manager today at 800-913-0172. For more information about applying for premium tax credits, click here.